My name is Margaux Asher—and I’m in love. Crazy, right? Me, the girl who grew up in the lap of luxury and the shadow of cynicism, is now head-over-heels for an apple farmer’s son who rocks my world and steals my breath. He’s seen the woman beneath the princess, and loves me—for me. Trouble is…he wants all of me. But how can I commit that to him if I don’t know who ‘me’ is? There are pieces missing—and not just mine. Until Michael opens up and shares all of himself, we’re a great opening explosion, but not a lasting magic tale. My name is Michael Pearson—and I’m in love. Margaux is the fire of my dreams, the fulfillment of my fantasies and the woman who’s asked the impossible. When your past has been hell, how is it possible to walk through it again? But fighting it isn’t an option—especially when the ghosts rise up and battle back. Especially when fate issues an ultimatum—battle back, or lose her forever. Can I do it? 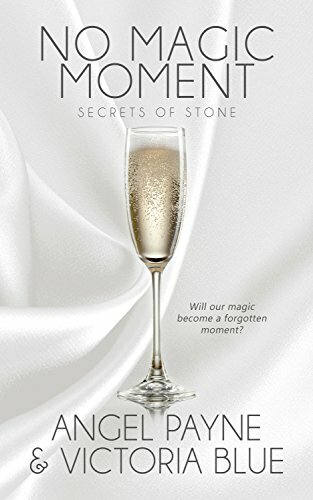 Is love enough to change a person’s soul, or will our magic become a forgotten moment for us both?